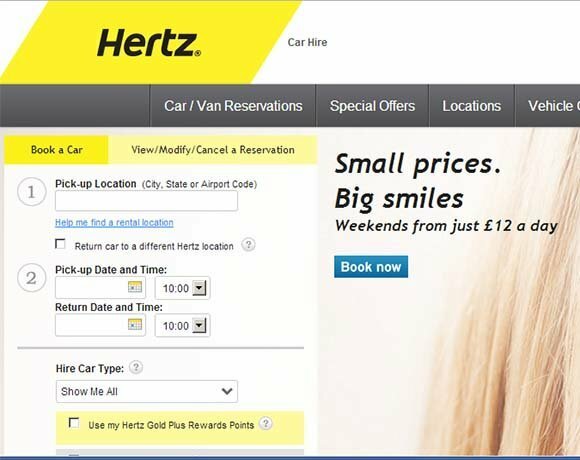 Car rental firm Hertz is in the final three months of an ambitious desktop virtualisation project using VMware, covering 4,000 PCs across its European operations. The project will cut support costs, simplify IT management and lower the company's energy bill, according to Paul Bermingham, vice-president, global infrastructure services, at Hertz. At Hertz, every operator has a PC, which is used to access a number of systems, ranging from applications that run at the counter where a customer collects a car, to back office PCs to support the Hertz car rental network across Europe. Having already virtualised its servers on VMware, Bermingham says the company began discussing its desktop IT strategy with Cisco, Microsoft and VMware. "We started talking to Cisco, Microsoft and VMware. We run an innovation centre in Dublin and looked at a proof of concept within the IT team. If the IT team can use a virtual desktop, then anyone can," he says. This is because IT tends to have power users who can test the limits of desktop virtualisation. The pilot involved virtualising the customer service centre in Dublin with 875 PCs over a LAN connection. This was then expanded to test in remote locations across a wide area network (WAN) to identify remote access problem areas. During the pilot, Bermingham found that desktop virtualisation used less energy than desktop PCs. "We have seen a 10% reduction in energy reduction in Dublin," he says. For the full deployment, Bermingham says Hertz has signed a single telecommunications contract with service level agreements (SLAs) based on the size location the network connection needs to support. Along with upgrading bandwith to all networks, the roll-out has also involved upgrading its Cisco network. Hertz has used Wyse thin client terminals to provide operators with access to Windows. These connect to a Windows server farm in Dublin via an multiprotocol label switching (MPLS) network. The company effectively runs its own private cloud, which is easier to support than desktop PCs. For instance, Bermingham says hardware parts can be sent to the field office if IT equipment fails. "With Wyse terminals there is no desktop PC support. This is a huge benefit as our old estate of PCs needed to be replaced," he says. So rather than use field support, Hertz is able to have a contract with local firms to fix equipment. There are also the IT management benefits. “We don’t have to patch PCs. Instead we can patch servers. So there is less support," he says. Like many organisations, Hertz has legacy PCs running Windows XP. "A lot of people were on XP, but as we roll out we will go to latest version of Windows and [Microsoft] software," says Bermingham. Centralised IT management means patching that used to take a week now runs overnight, he says. One of the documented issues with desktop virtualisation is that if everyone logs in at the same time, the system can come to halt trying to authenticate users. Bermingham says Hertz worked closely with its key IT suppliers to overcome the technical challenges. "All our capacity has been built to support boot storms. We worked with IBM, Cisco, VMware, and we had access to their US people." To solve the boot storm bottleneck problem, he says, IBM built a SAN with offsite disaster recovery (DR). Using this DR site means Hertz has the capacity to distribute its user logins across two sites. Hertz has used the desktop virtualisation project as part of a project looking at how to run IT efficiently across the locations it operates. Along with providing efficient connectivity to the central IT systems for car books, Hertz has also switched to low-cost printers and is now working on unified communications. "The benefit to our customers is that the speed of service increases dramatically," says Bermingham. He adds that Hertz is looking at ways to use VoIP and video to enhancing the customer experience through IT and digital technologies. According to Bermingham, this changes the role of an IT manager: "We can change IT from tech engineers to business managers." The desktop virtualisation roll-out is due to be completed across Europe by the end of 2013. Is it too soon for AI in the classroom?